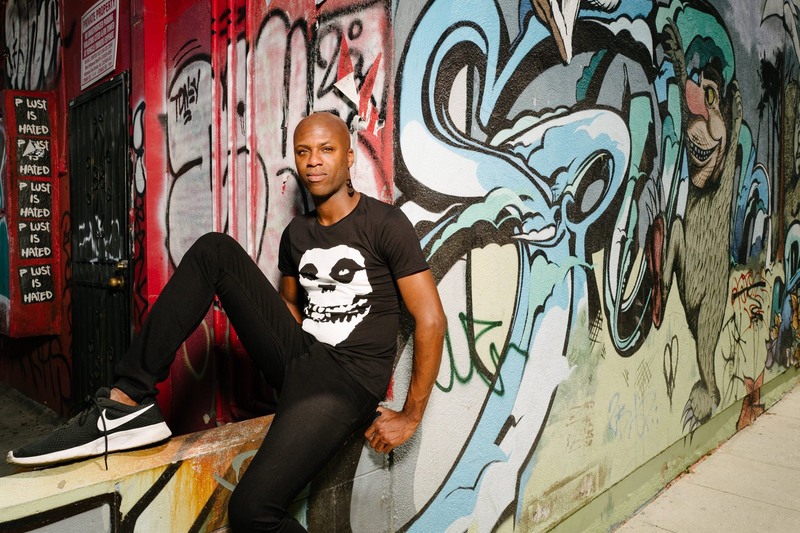 Dean Barker, also known as Breaker, KillBreak, and Baws Fyte, has been a loaded cannon since his inception to the Ohm Resistance Records camp. Just a few years later, Dean would establish Guerilla Recordings, releasing many of the greats of the drum ‘n bass scene, including Counterstrike, Gein, Dylan, Technical Itch, Donny, and many more. 2018 saw his Electric Daisy Carnival debut as well as his first release as Baws Fyte to Insomniac Records. In addition to music, Dean is a prolific Chef in the kitchen, having been featured on Chopped, and events with Viceland‘s Ry Prichard. 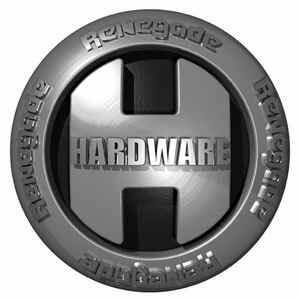 Be on the lookout for Renegade Hardware‘s Black Album as the man takes the helm of this legendary imprint. 2018 saw a lot of big debuts and executions, inclDPuding your debut EP on Insomniac Records, as well as your debut as Baws Fyte (alongside Jab). What was EDC like? How does a major festival like EDC compare to a pure drum & bass event like Renegade Hardware (as you played in 2017)? Electric Daisy Carnival is an Electric Carnival. It felt very surreal last time being at EDC was 15 years ago. It’s great to see how electronic music has grown. Renegade Hardware was also very surreal. Playing alongside my idols and meeting them throughout the night was very humbling. Drum n Bass is in a constant state of growth as well. I would say the bigger difference is the type of people that go to these events. Hardware has more of an underground club vibe to it whilst EDC still feels underground for me it is definitely more of a productive outlet for the masses I assure you. What projects do you have as KillBreak going on currently? A remix and collaboration for Hardware. For me, that’s a lot, considering the other things I’m working on respectively. It has been a true honor to be blessed enough to work on something like “The Black Album”. A KillBreak EP for a very special artistic label. The debut/last Breaker album “Scorched Solace” which will end the Breaker alias via my original camp at Ohm Resistance. How would you identify your different characters between Baws Fyte and KillBreak (besides music genre, of course)? Baws Fyte is for the children, your mum, your dad, your grandparents, and your newborn baby. Based off of what I call Hip-Hall music Baws Fyte (not to be confused with my evil twin Boss Fight) is a futuristic dance-hall + hip hop + trap + dubstep influenced project hell-bent on reviving 90’s hip hop artists into a perfect world of clashing vibes. KillBreak is for the drum n bass heads – plain and simple. I’ve always wanted to make old school flex with a new school complex my thing. Working with Hardware, I don’t have to hold back at all – Pretty much free reign as long It fits the criteria of a classic. Can’t wait to show you what I’ve been doing. Guerilla has been on the back burner for a while. What’s going on? Any new releases coming up? You’ve been around Los Angeles for over a year now. How does the L.A. bass scene differ from the New York bass scene? The bass scene in Los Angeles is like nothing I’ve ever seen in America. Thriving and growing culturally. New York City is still doing its thing. Several camps out there like BP2 continue to keep moving in steady quality talent. Direct Drive is still making its rounds I’ve noticed as well. Although New York City has changed so much as a city. Many of the larger venues shut down. Thus promoters have to hustle in ways I cannot imagine these days. Los Angeles promoters seem to be getting more support from their own city as opposed to New York City as a whole. This has made our drum n bass scene a never-ending fight to the death that I’m sure will be won. Konkrete Jungle has become more alive than it’s been in quite some time thanks to promoters like Dave Gee, Trigon, Eshin, Burner Bros crew. These guys all been in our scene long enough to know when the going gets tough. You’ve done a lot of collaborations in your time. What artists are on your bucket list? Any new collabs coming up? Don’t have many on my bucket list, to be honest (in Drum n Bass). But with other genres, I’m doing some stuff with Foreign Beggars, KJ Sawka, & hopefully Koven next month. I’m trying to get better at being a solo artist. I do have a new collaboration with Mean Teeth & Foreign Beggars in the works which I hope I can get the great MC Fats in on. As far as Baws Fyte I’m pushing for collaborations that haven’t been touched on in electronic music. Following a heavy collaboration with Camp Lo, I’ve been recently in talks about procuring something with the likes of Def Squad & The Flipmode Squad members tentatively. Shouts to Keith Murray and Baby Sham for giving me the time of day. What would you say sets you apart as a producer from others in the bass music scene? You’ve been placed at the helm of Renegade Hardware as the protege of the legendary Clayton Hardware. What events led up to this? Any hints on what’s coming for the “new” Hardware? Clayton has done his Final Chapter with the label and has taken interests in the culinary world. We got to talking about food one day and his Jerk Me Crazy project really sparked my interest. We slowly built a common ground friendship around that. One day he asked me if I make tunes and my reply was “gasp”. I quickly went into the studio to produce “Wipe Out” with my longtime friend KJ Sawka (Pendulum, Illenium, Destroid). They loved it at Hardware camp and that led to my first release on the compilation “Final Chapter” Album. One night sitting with Loxy and Clayton as I was heading out after the Hardware Reunion gig. Clayton mentioned he’s finished his final chapter and is truly ready to move onto other movements in his life. The rest is history. You’re also quite the chef, doing events with Viceland’s Ry Prichard (Bong Appetit), Chopped, and many more. What’s up in the culinary arena? Just did a really cool event at the Chinese Theatre, and have been moving from restaurant life more into private catering and select few artful events. Many drum & bass aficionados like D.Kay, Clayton Hardware, and Dieselboy are also turning to food. What do you believe is the link between drum ‘n bass and food? Food is everything. Who doesn’t love food? Favorite dish you’ve made recently? Hmm. Tough. 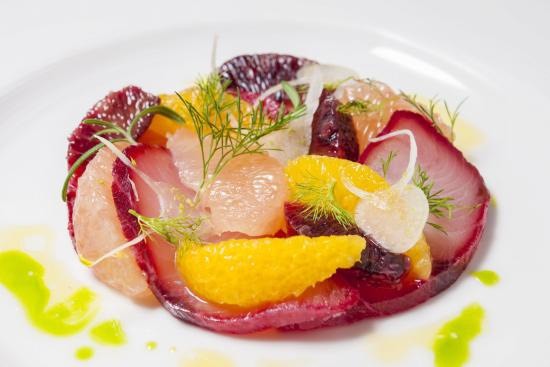 I’d say the Blood Moon Beet Cured Fluke – Kara Kara & Blood Oranges, Ginger Ponzu, Topped with basil oil & dill.